On October 17, this five-year-old yellow Labrador retriever’s photo broke the hearts of readers as he reached his paws against his kennel begging for his freedom. He was described by volunteers and staff alike at the busy Carson Animal Care as being extremely smart, gorgeous and just full of love. If anyone deserves a happy ending, it’s this baby rhino.Back in May, rangers at a game reserve in South Africa found the three-month-old calf next to his mother, who had been killed and poached for her horn. 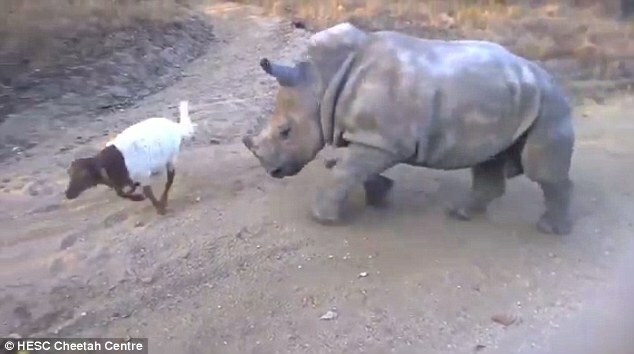 The rangers called staffers at the Hoedspruit Endangered Species Centre to the scene. “It was a devastating sight, as the tiny animal would not leave her side and was crying inconsolably for her,” according to HESC’s website. Maybe the Weather Channel should start hiring elephants. A study in PLoS ONE suggests the creatures can detect rainstorms happening 150 miles away, possibly by hearing them even from that far off. 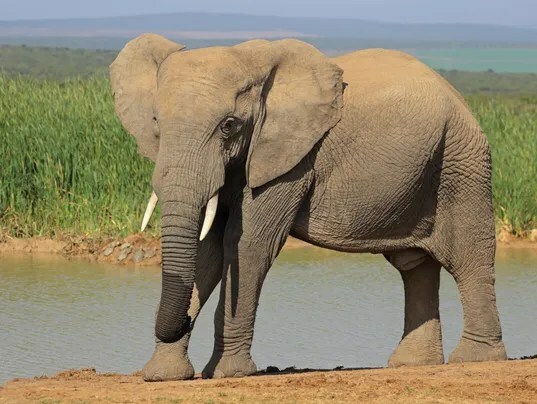 Migrating elephants are known to change direction out of the blue, and researchers haven’t been certain why. The Namibian research team figured it might be because of rain—as Phys.org explains, elephants are regularly looking for water in the region, which is dry outside of the January-to-March rainy season. Can drones help save the whales? In August, scientists from the National Oceanic and Atmospheric Administration and the Vancouver Aquarium conducted a series of drone flights over British Columbia’s Johnstone Strait to monitor the health and reproduction of threatened Northern Resident killer whales from 100 feet in the air. This firefighter understands that any life — no matter the species — is a life worth saving. Last Thursday, firefighters responded to a burning home in Virginia, rescuing the woman inside the house, CBS6 reported. The emergency responders didn’t forget her furry companion, Keiser, and carried the dog out of the home as well. Though the canine made no movement and it appeared as though he wasn’t going to survive, firefighter Josh Moore and paramedic Bubby Bish decided to make a last-ditch attempt to save the pet. 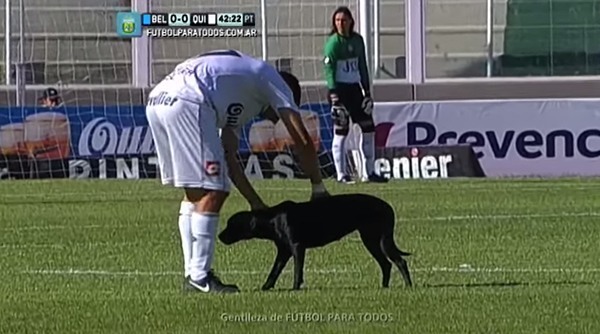 An Argentina Primera Division match between Belgrano and Quilmes had to be halted late in the first half when a dog wandered onto the pitch. “Humans — I command you to stop playing your silly games and shower me with affection,” the dog said before finding a Quilmes player who could not resist its charms and began to pet it. Another Quilmes player, Jonathan Zacaria, then picked up the dog and carried it off the pitch. The match was then able to resume and ended in a 1-1 draw. 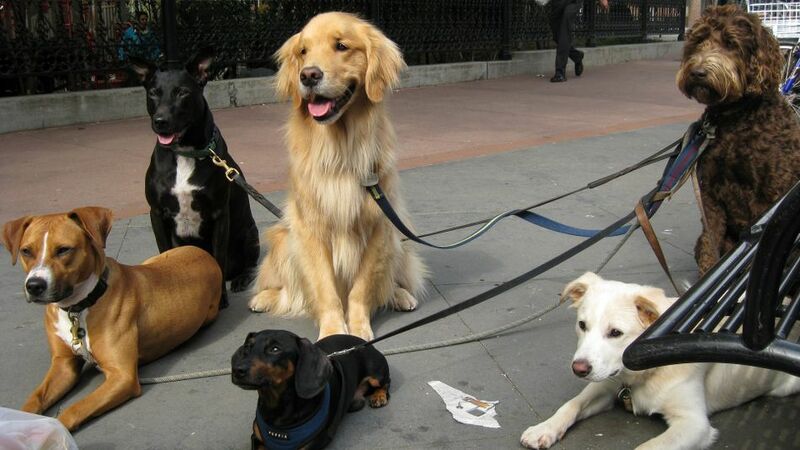 Clearly that dog was the day’s only winner.